Product prices and availability are accurate as of 2019-04-02 22:34:29 EDT and are subject to change. Any price and availability information displayed on http://www.amazon.com/ at the time of purchase will apply to the purchase of this product. Biennial, very easy and fast growing herbal plant, which is rich in fiber and nutrients, supporting natural well being. 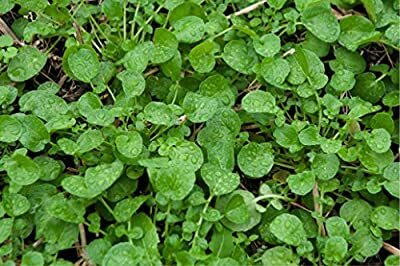 Cultivated as leaf vegetable is used in sandwiches, soups, salads etc. Usually cooked as spanich. Prefers light, fertile soil with frequent watering and full sun. 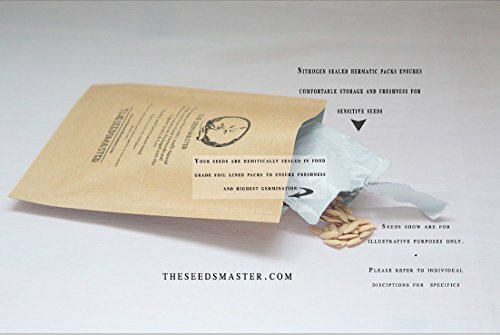 One packet contains 1100 seeds professionally labeled and safely packed in re-sealable plastic bag for comfortable usage and storage. Biennial, very easy and fast growing herbal plant, rich in fiber and nutrients, supporting natural well being. Juicy and tender leaves posses slightly nutty flavour and goes well in salads, sandwiches, soups etc. Non GMO, Non Hybrid, Untreated, Premium Quality Seeds coming from small, non commercial farmers. All natural, beautifully packed highest quality, germination tested seeds for own garden, to be given as gift or for long term storage.